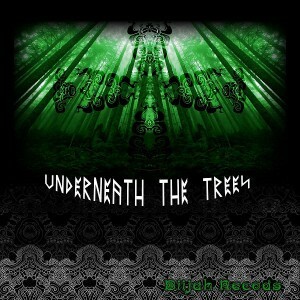 Biijah Records is starting the new year with Underneath The Trees, a collection of five darkpsy and forest music masterpieces from all around the world. The focus here is on groove and deeply psychedelic music for the dance floor with an emphasis on quality. Dynamically mastered by Diogo C. Borges with artwork by Chlorophyllian. In opposition to the loudness war this release has not been overcompressed; if the music isn’t loud enough just turn it up! MP3 Download | FLAC Download | WAV Download · Download count: 10,241. Biijah Records released a killer forest stomper here, and guys like Witch Freak and Meerkut are known for some head nodding, wicked work. Nuts Madness is madness, indeed. Great stuff. Short and sweet, as they always say. awesome release!! !Nuts Madness is insane stuff! Great Release Guyzz … Congrats! Buena compilacion mi querido Rodri! A superb comp. I like every track. And the sound quality is outstanding as well. A great gift. CRazy Crazy crazY!!! LOve the music..BOOM! Hi Everybody! we are so glad to read your comments and to know we have given another nice release to the forest junkies out there! It was almost a full year since we did our last forest release with VA. Alien Seeds. and it took us a lot of time to finalize this one. I would like to thank Tom, Alex, Baptiste, Mike, Diogo and Fabio for believing in Biijah and being part of the family! full support and respect for what you do guys, you have my true appreciation and thankfulness. There are 3 more forest/dark releases to come at the label soon, please stay in touch and we are looking forward to keep spreading the spores. Very good tunes. Keep working. yeeah! really chill and groovy sounds!